I had the opportunity to participate in an author event in my hometown of Effingham, IL. I thought this was a great time to do an interview with the buyer and get some feedback for my authors. I hope this is helpful for anyone looking to get into the library system. Q: I understand that there are different size library systems. How do you adjust your approach for each one? A: Since my experience within libraries has been with small and medium sized libraries, I will respond from that perspective. 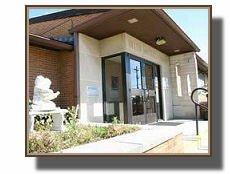 Most of the buyers within these libraries are easy to locate and chat with. A phone call and brief introduction (always respectful of the librarian’s time) may seem like a long shot, but when followed by an email linked to a way to purchase the book most people will take the time to at least check out the item. Q: What is the best way to approach a library: personal contact, email, letter, sample book in mail? A: Personally, I’ve never turned away an author. I have had some that were much too pushy, and I’ve made it a point not to purchase their titles. I appreciate when an author takes the time to stop at the library and show me a copy of his/her work. Email is welcome, but without a phone call or letter – I usually don’t follow up. There simply isn’t enough time in my day. I don’t know that I would invest in sending a sample book in the mail. The expense of mailing would deplete any profits. Q: What do libraries look for in a book before they accept into their system? A: For our library, I look for books that reflect our community’s interests. I also look for books that have been vetted by someone – whether it is a professional journal like Library Journal or Publishers Weekly or another author. I also read reviews posted by readers at Amazon.com and GoodReads. Q: Is there a more efficient way to have a larger reach in the system or is it best to approach one library at a time? Authors might consider contacting Illinois Library Association or ILA to ask about being one of the Illinois Authors featured at the ILA conference. There are also two library systems within Illinois. SHARE and RAILS – both of these systems have annual conferences for their members and with the right connections and planning, an author might be able to be part of these events too. Q: Is it best to donate to a library or is it okay to expect them to purchase a copy? A: Personally, I like to purchase copies from authors, but I understand that some authors really want their work to be “in” a particular library – and there is the argument that unless a book is in the library, people won’t find it. So I would be comfortable with either option. Q: Do libraries always welcome book signings or not so much? A: Our library welcomes book signings, but we sometimes struggle to get a good turnout for the author, and that can make for an uncomfortable feeling. I really appreciate it when the author does as much as he/she can to help promote the event, too. Using social media as well as putting out your own press release can go a long way in making sure people know the event is happening. I always ask authors if they are comfortable presenting or teaching others to write or publish. Not everyone is comfortable in this role, but being able to offer this additional program to the library may help sell your book signing. Q: With the amount of books published each year, libraries have to be choosy. I understand that a review from a journal would help get in the door. What journals do libraries typically read and rate as a good source? Q: How do libraries view self-published books vs books that are traditionally published? A: With the tremendous variety of publishers and platforms available to authors, I know librarians are looking at all formats. Self published books can raise “red flags”, but when the title is relevant to your community’s interests and well-edited, it can be a welcome addition to your collection. Thanks for taking the time to read my interview with Johnna Schultz with the Helen Matthes Library. Please follow my blog to receive more information on self-publishing and author interviews. This article was very helpful and it answered a number of questions for me as well. So what’s next? Thanks, Jill. This was really helpful! Thank you for sharing this great information. I will use it as “Grandmother, CEO” hits the library shelves. Jill this is very good information..relevant to what I do… I could use all of it at this time. Thanks.